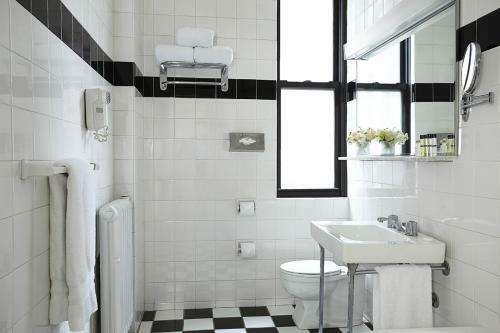 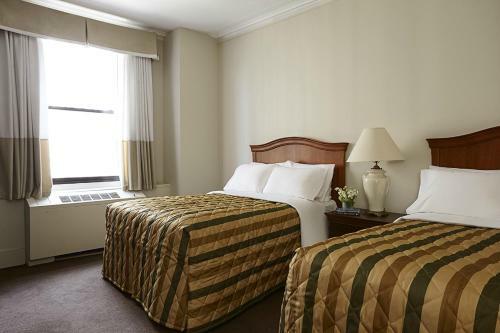 This Manhattan hotel is located across the street from Madison Square Garden and Penn Station. 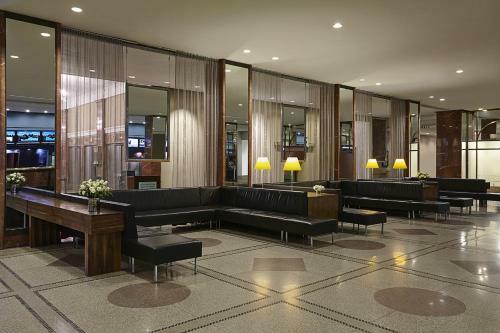 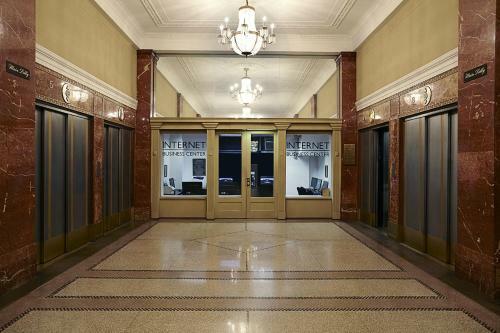 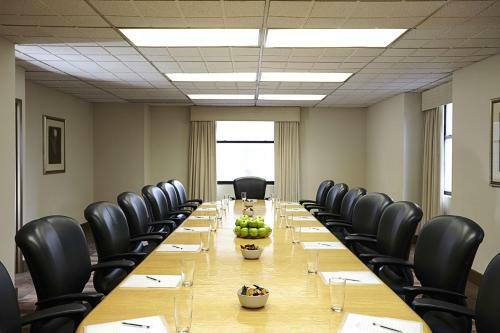 The hotel offers a gym and a tour desk with ticket services.Each air-conditioned room at the Hotel Pennsylvania provides cable TV with video games. 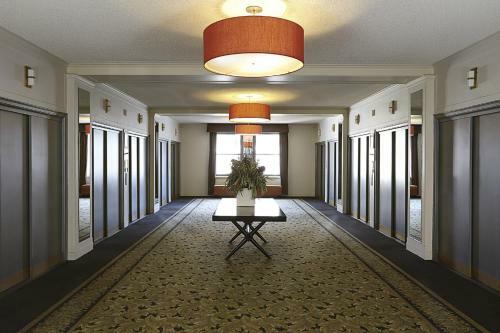 Guests also have access to a work desk, alarm clock and hairdryer in every room.The Pennsylvania Hotel includes a 24-hour coffee shop and a restaurant. 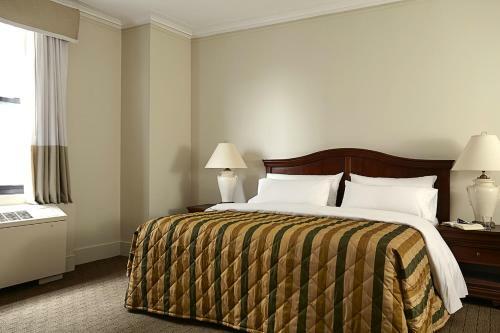 Guests can make transportation reservations and acquire theater tickets at the hotel.Times Square and the Museum of Modern Art are less than a 15-minute walk from Hotel Penn. 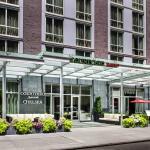 Guests are also one block from Macy's and 2 blocks from the Empire State Building.